Please explain you day-to-day role at your company? Manager and oversee all operation for the Delta operating company as well as the Delta Franchise company. How did you arrive at this company? Founder of the operating and franchise companies. To see individual and operation growth. The vision of building a national brand. 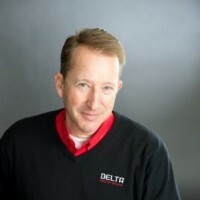 Delta Development Group (franchise company for Delta Disaster Services one of the best performing Denver restoration companies). What differentiates your company from the competition? We are a full service Restoration company, meaning we provide the reconstruction services after the mitigation portion has been performed. We are a founder lead company. We pride ourselves on the values we project as a company. We are leading the industry with the use of technology. Full services property restoration services. Describe in a few words the typical customers of your company. A person or business that has sustained damaged to their property.